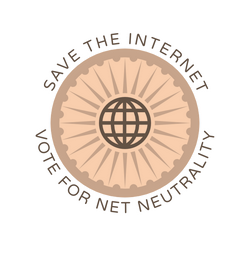 SaveTheInternet.in campaign was a volunteer lead movement that lead to net neutrality laws in India. We thank each individual and institution associated with it. This was prior to the creation of IFF and today we hope to carry on this massive public victory by supporting enforcement action. As recognition to their work, we are providing below the main campaign markers for the SaveTheInternet.in domain. We have at present modelled this after the savetheinternet.eu domain that queries information from the archive.org. Ironically, as we make this post there are reports in India that the archive.org website has been blocked by some ISPs without clear information to internet users. We view this as a breach of net neutrality protections. This calls on all of us to press for enforcement action. Without it, our collective victory to ensure the free and open internet may turn into defeat. The first version of savetheinternet.in contained an online tool with pre-drafted answers that could be sent by email to the Telecom Regulatory Authority of India (TRAI). This facilitated greater public participation on a consultation paper on licensing of OTT Services and Net Neutrality. Additional functionalities such as an online tool to contact members of parliament was added later. The second version of SaveTheInternet.in provided guidance for public participation in a consultation over at MyGov.in. This website contained regular updates on the measures taken by volunteers and in continuing the campaign for net neutrality in India. The third version of SaveTheInternet.in contained a software tool to participate in the Consultation Paper on differential licensing. This specifically focused on, "zero rated" services. Some versions of SaveTheInternet.in continued after version 3. Revisions on the website included functionality for public participation and resources. For instance a software tool was built for public participation in the consultation on Free Data. These were important moments that consolidated public momentum and resulted in firm legal rules to safeguard net neutrality. This post is aims to provide context and a beginning for those who may want to study the net neutrality campaign in India. While we recognise this movement was historic, we do not claim to be historians. This is why this page exists. To provide a window to explore the past. A homage to the many people, organisations and institutions who worked together driven by passion and commitment for the free and open internet.